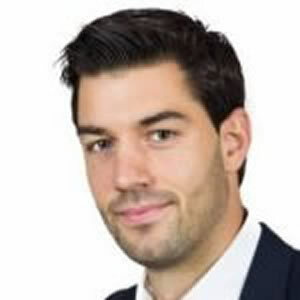 Jonathan Peillex is Assistant Professor at Pôle Léonard de Vinci, Paris La Défense, France since 2015. He holds his PhD in Business Administration in 2014 from the Université de Picardie Jules Verne. He received two awards for the best PhD thesis from the French Foundation for Management Education (FNEGE) and the ADERSE. His research focused on Corporate Social Responsibility, Socially Responsible Investment and Islamic Finance. His recent research work have been published in academic journals such as Journal of Comparative Economics, Journal of Business Ethics, Financial Analysts Journal, Applied Economics and Economic Modelling. Revue Economique, p. 306-349, 2019. Economic Systems, 42 (3), p. 450-469, 2018. Applied Economics, 50 (51), p. 5464-5482, 2018. Management International, 22 (3), p. 51-64, 2018. Economic Modelling, 72 , p. 353-362, 2018. Financial Analysts Journal, 73 (3), p. 1-14, 2017. Journal of Business Ethics, 136 (1), p. 101-117, 2016, ISSN: 1573-0697. Management international / International Management / Gestión Internacional, 19 (2), p. 128-139, 2015, ISSN: 1206-1697. Bankers, Markets and Investors, (131), p. 17-29, 2014.
International Journal of Business, 18.2013 (2), p. 131-150, 2013, ISSN: 1083-4346. In the aftermath of the WTC attacks on September 11, 2001, capital repatriation combined with a significant rise in oil prices contributed to a massive capital accumulation in the Gulf region. This huge amount of financial liquidities, estimated at around 5 trillion dollars (Soustras, 2008; Bouslama, 2009) represents a very promising financing and investment potential, which partly explains the outgrowing interest in what is now commonly called "Islamic finance", especially in developed countries. The French financial market cannot afford being left aside in this field. Following the "Shariah" rules that govern the Muslim economic, social and legal transactions, Islamic finance is built up on five pillars. The use of interest rates (Riba) is prohibited; speculative behaviour (Maysir), uncertainty regarding the characteristics of the contract (Gharar) as well as specific activities (1) (Haram) are banned. Moreover, the distribution of profits and losses is encouraged and so is the asset-backing. Based on these rules, a significant number of Islamic mutual funds and stock market indices were introduced over the last decade as an answer to the investment potential and portfolio diversification needs of wealthy Muslim investors (2). Revue d’Économie Financière, (107), p. 289-313, 2012, ISBN: 9782916920405. Taking into account the huge potential and the increasing role played by the Islamic finance, this paper analyses the methodological process linked to the introduction of a shariah compliant index on the Paris Stock market along with a study of its short and long term performance. A screening process is applied to different stocks composing the SBF 250 index in order to make it shariah compliant. This process leads to the exclusion of almost 90% of the stocks, thus the final Islamic index is composed by 25 companies. The weighting procedure is based on the free float of each stock composing the index with a capping factor of 15%. From August 31, 2007 to August 31, 2010 the Sharpe Ratio, the Jensen’s alpha and the « Buy and Hold » returns lead to the same conclusion : the French 25 shariah outperforms both its conventional and shariah compliant counterparts, on the short run and on the long run. Over the same period, the low average beta of the French 25 shariah index (0.30) can be explained by the dominance of stocks belonging to the health industry (40%). Classification JEL: G10, G11, P43. Jaballah, J.; Peillex, J.; Weill, L.